I got to sit down with Canadian comic book artist Marcus To (DC’s Red Robin) during the Montreal Mini-Con on December 5th. 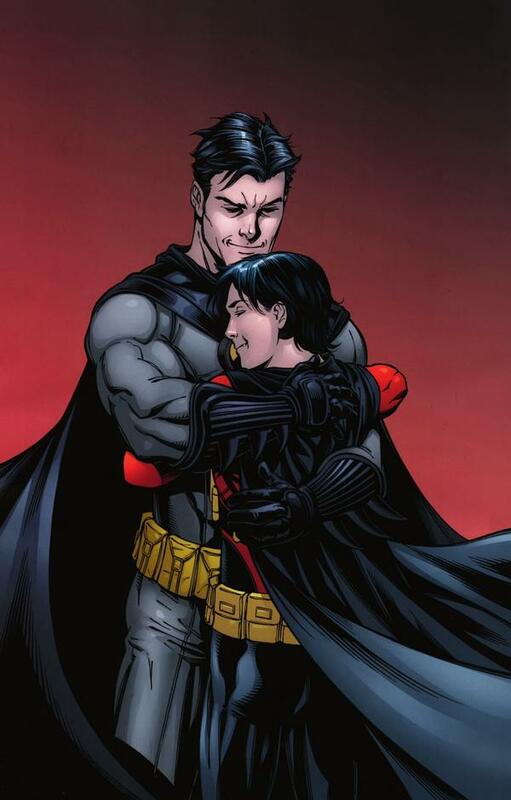 We talked about what’s upcoming for Tim Drake, his glorious reunion with Batman and what the future holds. JSA: Hi Marcus, thanks for taking the time. Congratulations on the success of the last issue, a real heart-warmer. You seem to be getting great positive reaction from this one! Do you ever stop and read the reviews? MT: I don’t check on a whole bunch of message boards, because that’s kind of asking for trouble sometimes. 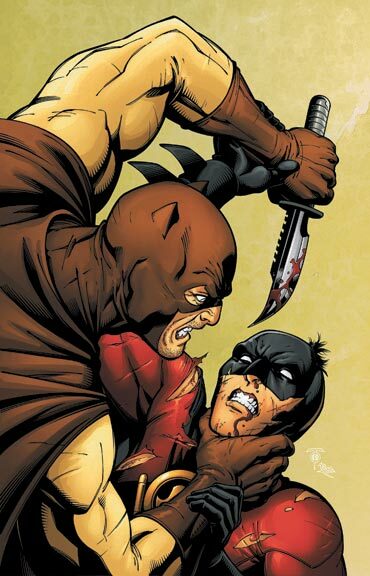 I did check a couple of reviews over at comicvine, and even the DC boards, to see a little bit of the reaction. It seemed like everyone really enjoyed the cameos and what happened in the story. Even though really, (laughs) nothing really happened in the story. I think it was just sort of a checklist of some for the characters that have been missing for awhile. JSA: Like Cassandra (Cain, former Batgirl)? MT: Yeah, so people liked it. My inker Ray he told me that people really liked it. JSA: Oh, he’s checking the board more often than you? MT: I think so, yeah. From what he gathers though, people really seemed to really like it. JSA: So, what about Cassandra? Any future plans for the character? MT: I don’t think so, no. Even in the script Fabian said just design her costume as a placeholder until we decide what to do with her. Which means, in my eyes, that it’s still up in the air. I think Fabian wanted to make sure that she gets a nod, so people know she’s around. Because I think some people on the boards were disappointed with how little of an explanation was there. But they just don’t know what to do (with her) yet. JSA: How are you liking Fabian’s scripts, are they much different than working with Chris Yost? MT: Fabian’s really good! Fabian’s scripts are quite a bit different than Chris’ just because he has a different style of writing, a little bit more old school with what he wants to put in the comics. I notice a lot of things like the text boxes on the covers (laughs) that say “The Hit List” or something like that. I mean, that’s pretty old school, you know? Which is pretty cool! He’s been really good about asking me what I want to draw, what characters would I want to be in the book. I said a couple things like Supergirl, more Batgirl – Stephanie Brown – and stuff like that. And he’s like, “Well, we try and work some stuff out,” and we’re doing a Teen Titan mini coming up, so that should be interesting. I’ve got the script already so I’m excited to start drawing some of those characters. JSA: The Titans with Damian (Wayne, current Robin)? Is he going to be as uppity as he was in the most recent of Teen Titans? MT: Well, he only shows up at close to the end of the issue so…more or less, yeah. I would say so (laughs)! 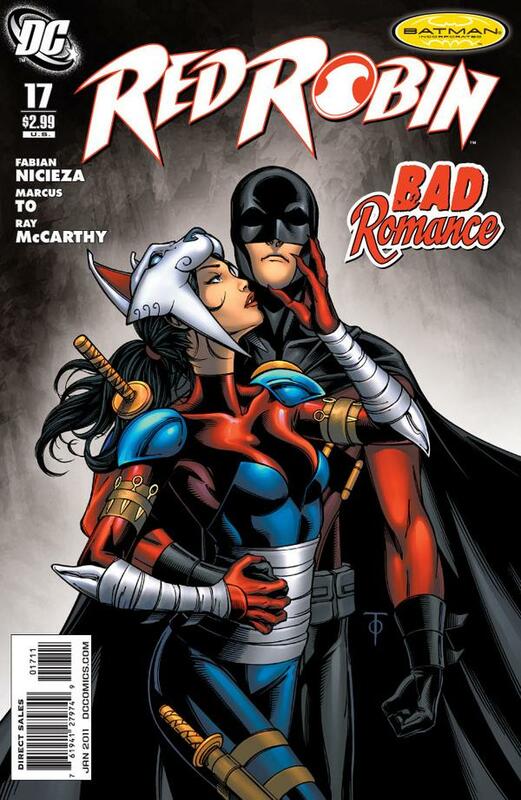 JSA: What about Stephanie Brown, do you think she’s going to be coming back into Tim’s life? MT: I’m not exactly sure. I mean, I get my comic news on the internet like everyone else. I was watching comicvine news and they said that it looks like Batgirl’s going to England, right. But, she makes cameos here and there. They have . . . some interaction but I don’t see Fabian touching that subject, just yet. JSA: What about new locations? 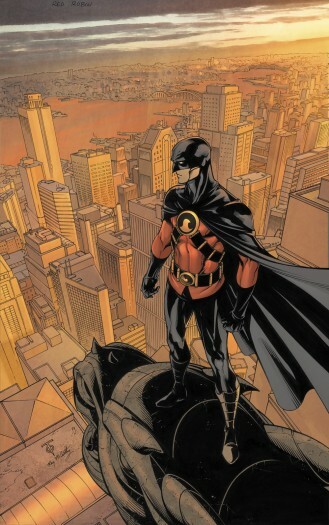 We’ve seen Batman Incorporate go global, will we see Tim settle somewhere outside of Gotham? Maybe do some globe-trotting of his own? MT: Yeah, I think it’s going to follow that same trend. He’s going to be in Gotham here and there. 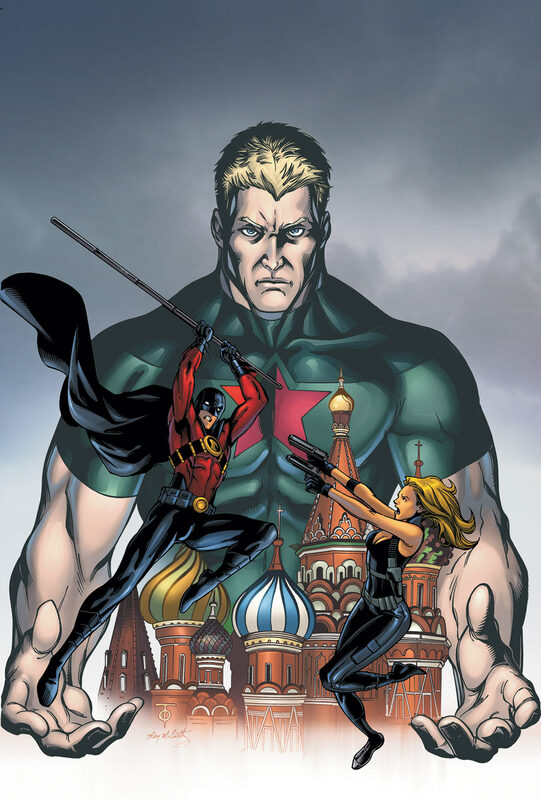 This issue – eighteen, and nineteen – he’s in Russia and um, (issue) 20, he’s back in Gotham for the meeting with the Titans. Yeah, I don’t think he’s going to stay in anyone one place. Gotham has an abundance of heroes right now and I think they’re going to keep them separated, at least to a certain extent. JSA: What’s it like drawing Russia? Is Fabian making it hard on you? MT: Yeah, I tried because I felt with Moscow’s Red Square and St. Basil’s Cathedral, that’s HARD and I mean, really hard to draw. I tried to get as much reference as possible so it looks at least kind of like Russia. It’s takes a lot more time thinking about it. Gotham city you can kind of make it up. You use stock New York references and just mix and match. But, looking for ref(erence) for the right hotels or the areas of a place like Moscow is hard. You’re just constantly Googling trying to draw things like signs and stuff that aren’t the same. It just takes a lot more research and time spent. You know us comic book artists we don’t have enough time (laughs). We never have enough time (laughs). JSA How detailed are Fabian’s scripts in terms of background detail? Other than putting Tim in Red Square, does he get specific or does he just set a scene and let you go for it? MT: He’ll mostly set a scene and let me go for it. But, there are certain panels in particular that he’ll want something specific. 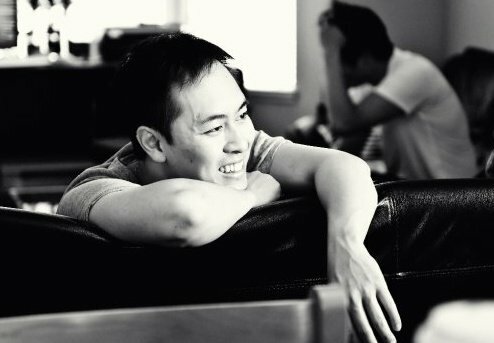 The majority of the script is not that detailed. It’s loosely described and then a few panels here and there for really important pages he’ll spell out exactly what he wants. For example, there’s a scene in issue 20 where Tim’s looking at a group of monitors and Fabian will spell out exactly what he wants on each monitor. Mostly he pretty much lets me do whatever I feel is necessary to make it work. JSA: So, how long do you see your run continuing with this title? Are Ray and Fabian hanging on to keep the team together? MT: From the sounds of it Fabian wants to stay on this book for a long time because he’s a really big Robin fan himself. I love Robin as well. I’d like to think at least another year for me but, who knows? If Robin #1 comes out I’m going to beg my editor to jump on that. You never know, but I guess we’ll see what happens. (laughs) Nightwing #1 would be cool. There’s so many books that I would love work on though if the right situation comes about I would be a fool not to take it, right? So, we’ll see. I love all these characters in the DCU, Booster Gold, Blue Beetle, Teen Titans, Superman, Batgirl, all those characters are awesome! Birds of Prey! Then I can draw Black Canary and Huntress! Hopefully I’ll be working at it for years and years so I can get a chance to draw all these characters. JSA: Thanks Marcus, (we) hope so too! Shortly after this interview Marcus was nominated for Newsarama’s Fan favorites poll coming in as the editor’s #9 seed in recognition for his great work this year. However he joins some elite company, one of the three Canadians who also made an early exit in round one this year including (former Joe Shuster Award winners) Darwyn Cooke and Stuart Immonen. I wish the rest of the Canadian contingent good luck as the voting continues and a big thanks to Marcus for taking some time to talk with me! This entry was posted in Interviews by mattjjallen. Bookmark the permalink.